Sharon, a native of Fort Worth, is a professional musician who performs throughout the Dallas/Fort Worth area. She studied music at TCU with Kenneth Schanewerk, former concertmaster of the Fort Worth Symphony, and currently teaches private violin and viola students in both Arlington and her studio in Fort Worth. She is currently the principal second violinist with the Brazos Chamber Orchestra. She has performed with the East Texas Symphony, the Fort Worth Civic Orchestra, has served as soloist and concertmaster with the Northeast Orchestra and has performed as soloist and principal violist with the Cool Springs Symphony. Native of Rochester, Minnesota. Performed with the Rochester Symphony while in high school and served as Concertmaster of the Minnesota All-State Orchestra. Bachelor's Degree in Music Education and a Masters in Violin Performance from the University of Southern Mississippi. Performed with orchestras in Jackson, Mississippi; Pensacola, Florida; Mobile, Alabama; Gulf Coast, Mississippi (concertmaster); Des Moines, Iowa; Roswell, New Mexico; Lubbock, Midland-Odessa, Big Spring, Abilene, San Angelo and Austin, Texas. Served as concertmaster of the Austin Civic Orchestra and had own string quartet in Austin. Performed with Mobile Opera, Jackson Opera, Opera South, and the Geoffrey Ballet. Have done studio recording work in Iowa and Austin, Texas. Played on-stage backup to Issac Hayes, John Davidson, Roy Clark, Chet Atkins, Floyd Cramer, Boots Randolph, Jerry Reed, Ray Price, Mr. Roger's Neighborhood and Sesame Street! Dan, a native of Fort Worth, performed with the Youth Orchestra of Greater Fort Worth, both as a player and soloist, and the All State Orchestra. He advanced his musical studies at TCU and Juilliard where he performed for prominent musicians such as Yo-Yo Ma and Ruggierio Ricci and studied string quartet performance with the Juilliard String Quartet. 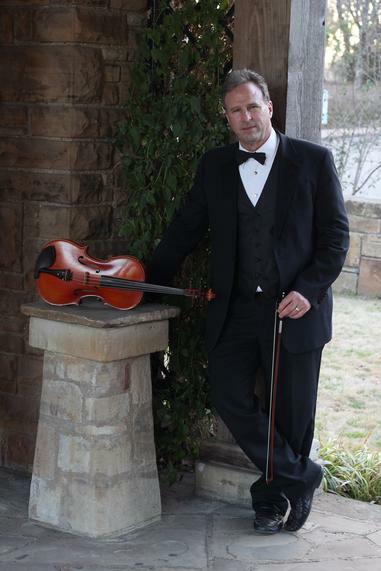 Dan has served as principal violist and subsequently concertmaster of the Fort Worth Civic Orchestra and has performed with the Fort Worth, Austin, Waco, and Wichita Falls Symphonies and the Dallas Opera Orchestra. Todd, a native of Amarillo, has performed with the Amarillo Symphony, Lubbock Symphony, and Roswell Symphony orchestras. He is currently a cellist with the Brazos Chamber Orchestra, serves on the Board of Directors and as business manager. Todd's many years of church orchestra experience and managing personnel for the Brazos Chamber Orchestra gives him unique capabilities to contract orchestras for churches, choral organizations and other organizations around the DFW area. Todd enjoys freelancing as a cellist for weddings, receptions, corporate functions and playing in church services.